Feds Say 'Unbanked' Can Buy Insurance With Debit Cards : Shots - Health News About a quarter of uninsured people eligible for federal subsidies to help them pay for health coverage don't have bank accounts. A new rule would require insurers to accept payments made many different ways, including by money order and prepaid debit card. Insurance? Let's just run your card. The Obama administration said Wednesday that it is moving ahead with a rule that would requiring health plans to accommodate households that don't have traditional bank accounts. One in four of the uninsured people eligible for federal insurance subsidies doesn't have a bank account, according to a report released earlier this year by the tax preparation firm Jackson Hewitt. The report dubbed people without connections to traditional financial institutions the "unbanked." An estimated 8.5 million people without health coverage would have difficulty getting tax credits to help them buy insurance on marketplaces that open Oct. 1, if health plans barred certain payment methods. Those include cashier's checks, money orders and prepaid debit cards that are popular with low-income households. 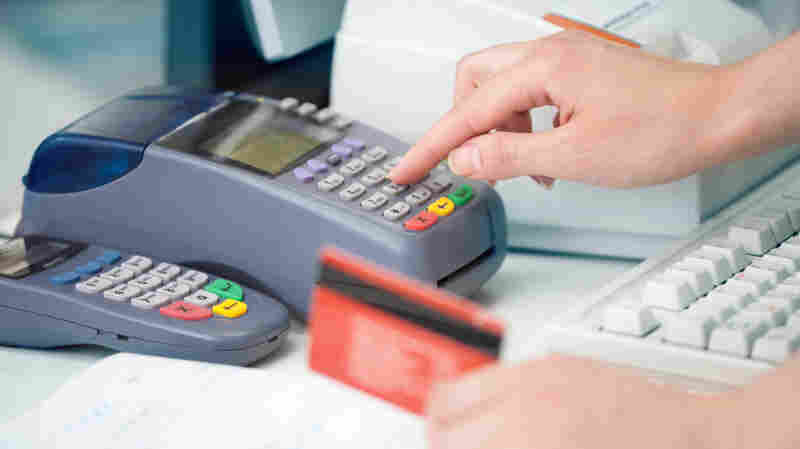 The final rule, issued Wednesday, requires insurance companies to accept "paper checks, cashier's checks, money orders, replenishable pre-paid debit cards, electronic funds transfer from a bank account, and an automatic deduction from a credit or debit card." Health plans won't have to accept cash. The feds figured that was too complicated. State-based exchanges could partner with financial service companies, administration officials said. But the rule doesn't limit those partnerships to nonprofit organizations that promise low transaction fees, as some advocates had championed. The federally run exchanges won't partner with any payment services firms in the first year of operation, but the government didn't rule out arrangements like that in the future. The ruling didn't satisfy all the concerns of tax preparation companies that see a role for themselves in working with low- and middle-income families that are eligible for tax credits. Jackson Hewitt's Brian Haile said he was concerned that the final rule didn't specify that health plans need to accept automatic, reoccurring deductions from credit or debit cards, and that consumers who miss several payments could find their coverage dropped. "Consumers will face tax penalties for being uninsured under the recently-released IRS rules about the individual mandate — and we should be making every effort to help consumers avoid those penalties and maintain coverage," he said.